Joseph Renshaw Brown was a politician, trader, businessman and Indian Agent. Born in Pennsylvania in 1805, Brown would marry Susan Freniere, a member of the Sisseton tribe of the Dakota. Joseph Brown had built a mansion of a home after losing his post as Indian Agent in 1861. 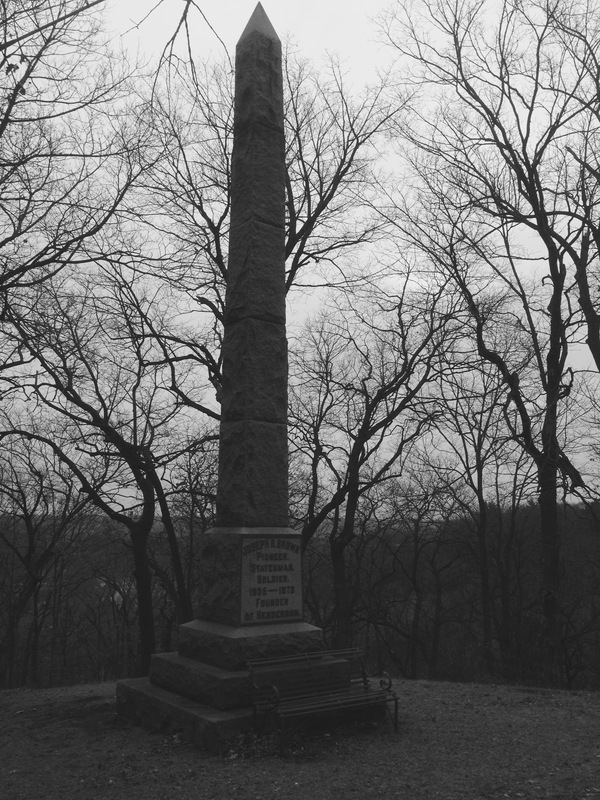 The three story, pink granite structure overlooked the Minnesota River Valley, near what is now Sacred Heart. 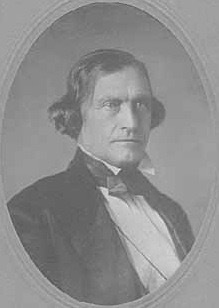 Brown was away from Minnesota on business when the Dakota warriors raided his home early in the War of 1862. Brown’s wife and 11 children were taken captive, but were not harmed due to her Dakota heritage. The Brown’s three-story home was then set ablaze and the mansion was gutted by the fire. Brown’s family was later released with the rest of the captives at Camp Release. 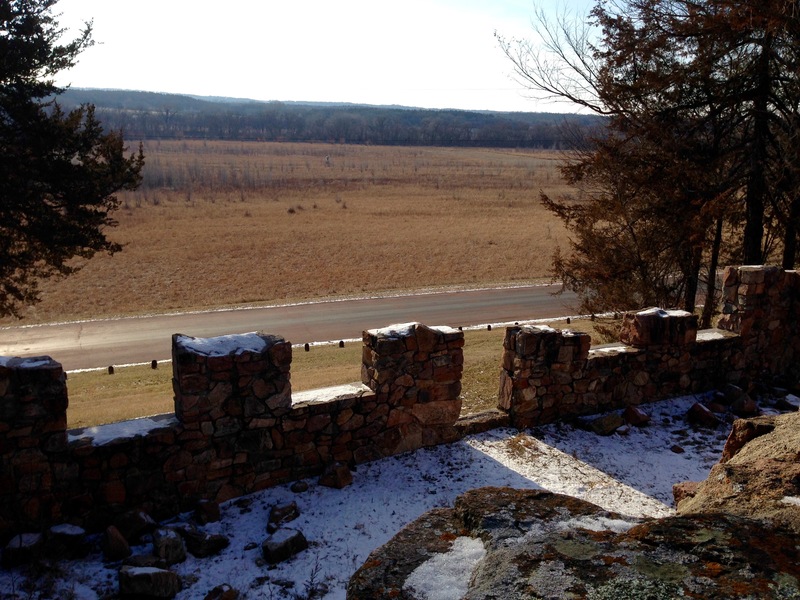 The granite ruins of the impressive home still possess a beautiful view of the Minnesota River Valley. The site is now a state wayside park along Renville County Road 15 near Sacred Heart. 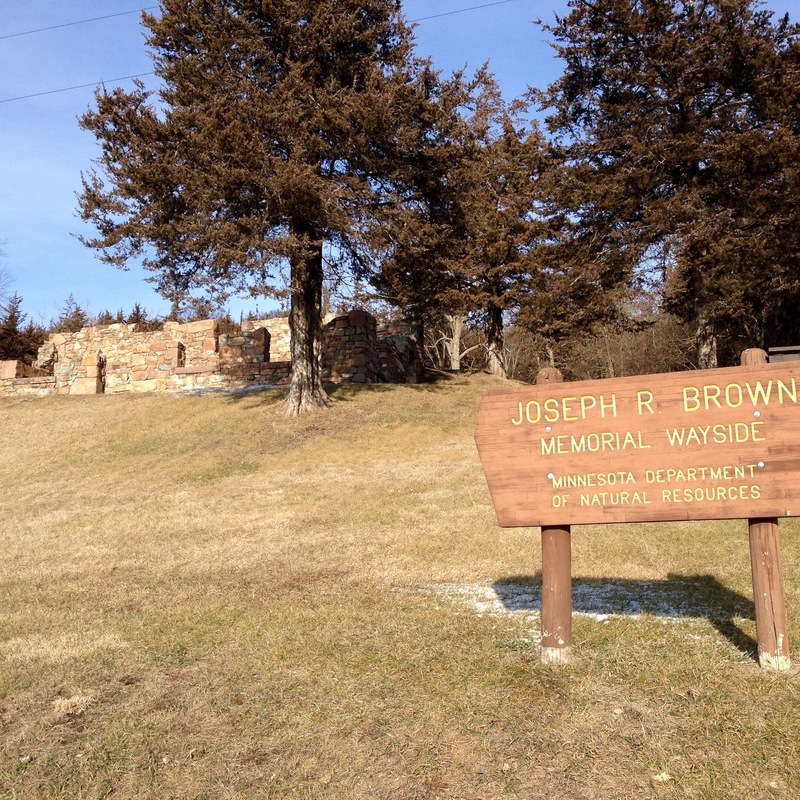 Joseph Brown died in New York in 1870, and was buried in Henderson, MN. 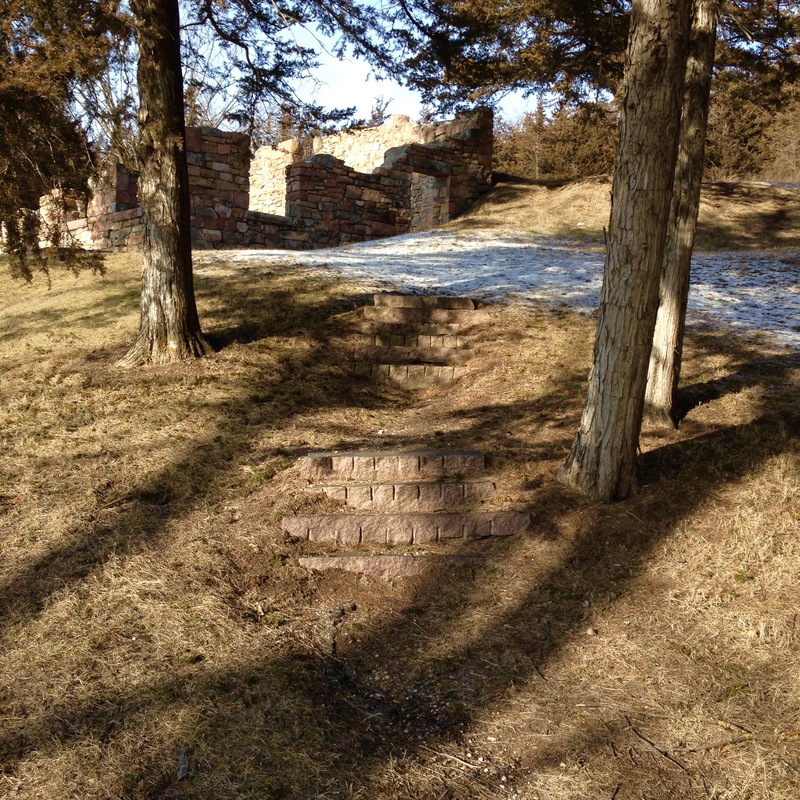 This entry was posted on Saturday, February 6th, 2016 at 12:06 PM	and tagged with Dakota, driving, history, Minnesota, photo, ruins, travel and posted in history. You can follow any responses to this entry through the RSS 2.0 feed.